The boys set a trap on the ridge and caught something a few weeks ago. The little fellow looks timid, but we know raccoons are vicious when cornered. 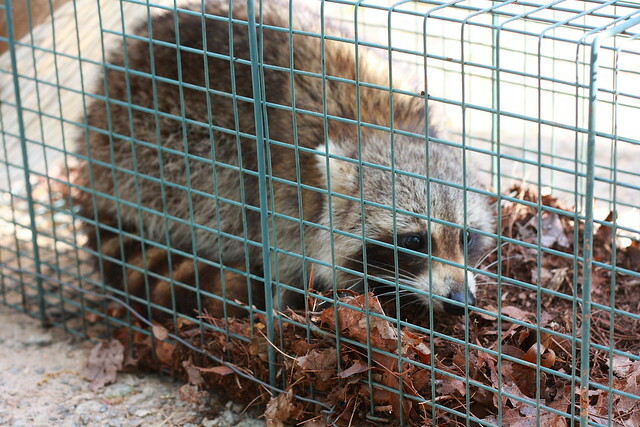 We couldn’t turn him loose on our property, lest he find a way to terrorize our chickens. Fortunately, we had a neighbor happy to take him off our hands. Our fierce hunter poses with his trap and bb gun.